This is a very nice clean antique plumb bob is not marked by the maker. This one is 4.25" long, 6 ounces, 3 pieces, with a good steel tip, both ends are threaded, good threads. 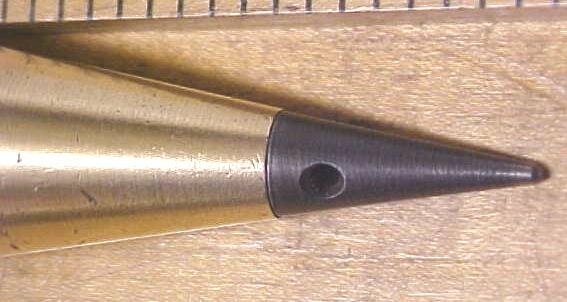 The neck area is threaded at the knurled part of the plumb bob, or in other words that neck cap piece is .5" long plus the threaded part that is inside the main body and can't be seen in the pictures. It's in nice shape! Some tiny dings noted, otherwise minor wear. The neck is 1.0" long x .5 diameter. A nice collectible plumb bob! 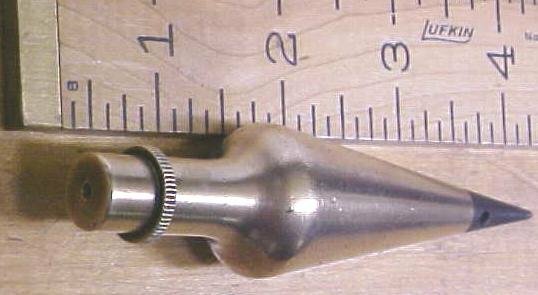 Items Similar To "Antique Plumb Bob Brass 6 oz."